PortForwarding - Free Try The Windows Port Forwarding Software Now! 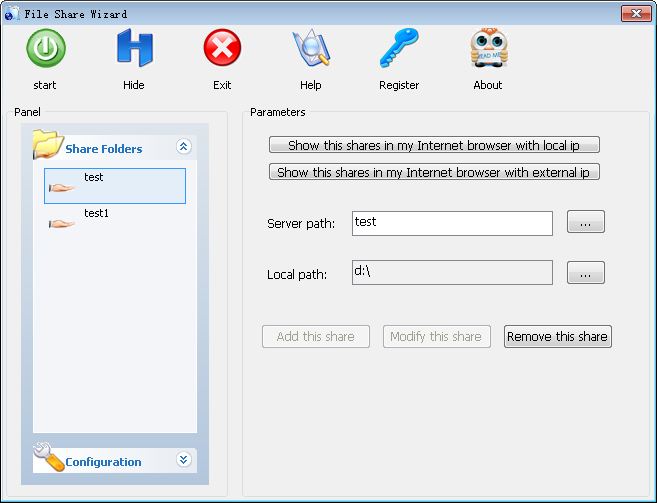 Port Forwarding Wizard Enterprise 4.8: Powerful windows port forwarding software provide smart route strategy for dynamic port forwarding. Windows 2000, Windows XP, Vista, Windows 7, Windows 8 are all supported. Web interface let you easily maintain and operate anywhere. The software support run as Windows service, so it can automatically startup when your computer power on. Web interface let you easily maintain and operate your port forwarding anywhere. Generally, a port forwarding configuration will just forward one source ip address to one destination ip address. But Port Forwarding Wizard Enterprise for windows provide smart route strategy for dynamically choosing destination ip address to port forward. The first strategy is dynamically port forwarding based incoming source ip address. This function is very useful when you just want to open one forward and listen on one port to finish your port forwarding for security. You don't need to add a lots of port forwarding entries and listen on a lots of ports, because this will make you kind of risky. As we all know, A router has the limit of count of port forwarding entry. Under this situation, you can configure your router to port forward network request to Port Forwarding Wizard Enterprise, and then further port forwarding to the destination ip address as you want by using smart route strategy. You can extend the count of port forwarding entry of your router by this way. The seconde strategy is dynamically port forwarding based round robin strategy. You can provide a list of destination ip addresses, Port Forwarding Wizard Enterprise will choose the destination ip address one by one by using round robin strategy. You can get load balance function by using this smart route strategy. 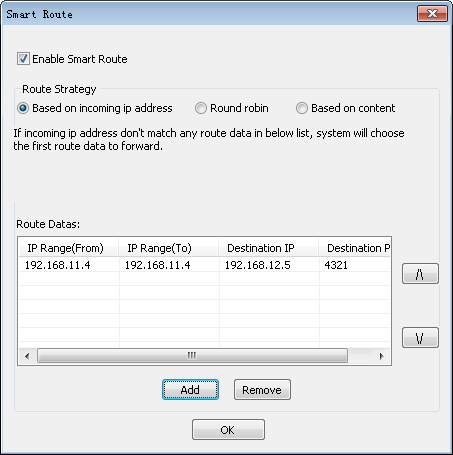 When you add port mapping entry into Port Forwarding Wizard Enterprise, you will see the button "Smart Route", click the button you can configure your smart route strategy. Port Forwarding Wizard Enterprise can let you port forwarding until destination computer is reached. This feature will let you directly access computer that you can't directly access.File Share Wizard will let you turn your computer into web server and begin to file share in seconds.But a lot of time that the computer you want to share files,your friends or colleagues can not directly access.You can deploy Port Forwarding Wizard Enterprise to resolve the problem for this situation under windows platform. So function of port forwarding and file share should't be separated,they should work together to let you infinitely port forwarding and enjoy fun of file share at the same time! ?2006 - 2015 upRedSun Corporation. All Rights Reserved.